Get behind the wheel of a genuine Ford or Holden V8 Race Car and experience Queensland's premier V8 Supercar venue for yourself! The No.1 V8 Race Experience in Queensland. Check out the NEW video! 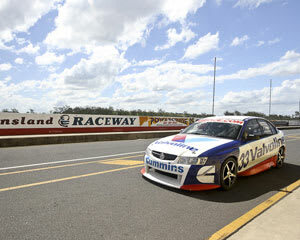 Get behind the wheel of a genuine Ford or Holden V8 Race Car and experience a day in the life of a V8 Driver at Queensland's premier V8 venue for yourself! 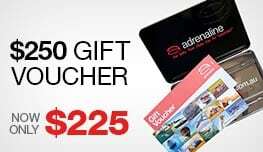 And just when you think you're ready to become the next Craig Lowndes, buckle up for 3 Hot Laps driven by a professional - now that is fast! After a driver safety and track briefing including braking, cornering, apexes and overtaking you'll be introduced to the vehicles and your driving instructors (many of whom are current or ex-V8 drivers!). After your driver's briefing and in-car brief from your instructor, you'll accelerate out of the pits and onto the straight - hold on to the wheel tightly as this is one ride you won't forget! Throughout your drive you'll be in constant contact with your instructor, who will be offering hints and tips on how to get the most of your V8 drive. Choose between Ford or Holden on the day. 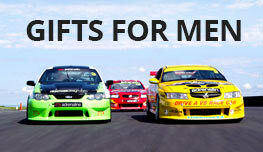 There is a selection of race-prepared Tickford Fords and VT & VE Commodores on offer. I had an awesome time and a great experience. The experience was great, I loved every minute of it. I would do it again. The most fun I've ever had with my clothes on. Hi - Just wanted to pass on my thanks to Daryl Cullen. Daryl was my driver coach on the day. His advice and guidance (and patience!) was invaluable as I attempted to drive the car quickly around the track - so different to how I have ever driven a car before! I learnt a lot about car control and I think I will be better driver as a result. I had a great experience. I will continue to recommend this experience to anyone who asks.